Regina Agro was born and educated in Philadelphia, PA. She would later relocate to New York City where she was the Vice President of one of the nation’s premier package design firms servicing many of the nation’s top retailers. 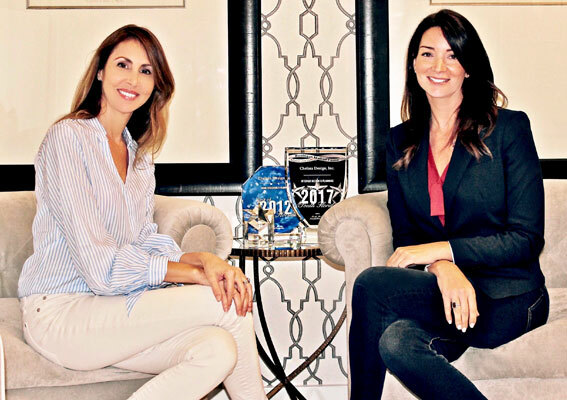 After relocating to South Florida in 2003, she worked for one of South Florida’s most prestigious residential interior design firms completing projects throughout the United States and Caribbean. In 2006, she co-founded Chelsea Design with the goal of providing beautifully designed projects with a greater appreciation for client’s budgets and understanding of their needs. Through her direction and attention to day-to-day business, Chelsea Design has become a very successful firm whereby over 90% of its business is generated from repeat clients or client referrals. Samantha McKenna was born in the Bahamas and educated in London before deciding to relocate to New York where she began her design career working for some the most well-known film production companies designing movie sets. In the 1990s, Samantha relocated to South Florida where she began working for one of South Florida’s most prestigious residential interior design firms designing projects throughout the United States and Caribbean. In 2006, Samantha co-founded Chelsea Design and decided to open offices in both South Florida and the Bahamas. Samantha leads all design projects and is a central figure in all client relationships. Whether it’s residential or a commercial project, Samantha takes the time to understand the needs and preferences of her clients and works tirelessly to bring to life their vision. Collaborating is at the heart of Samantha’s work; and it’s something she finds particularly rewarding.